“A city in the desert. A culture of possibility. A network of dreamers and doers. That’s the starting point; the blank canvas of a collective, but also very personal, work. 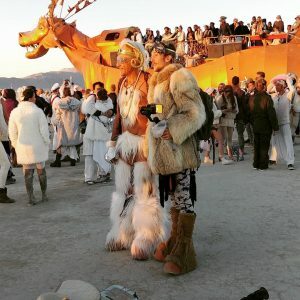 Burning Man is a huge annual artistic encounter in the Black Rock Desert, where people from all over the world group together in bands featuring thematic, identity-based costumes. For one week, this nomadic town becomes one of the most populous places in Nevada. 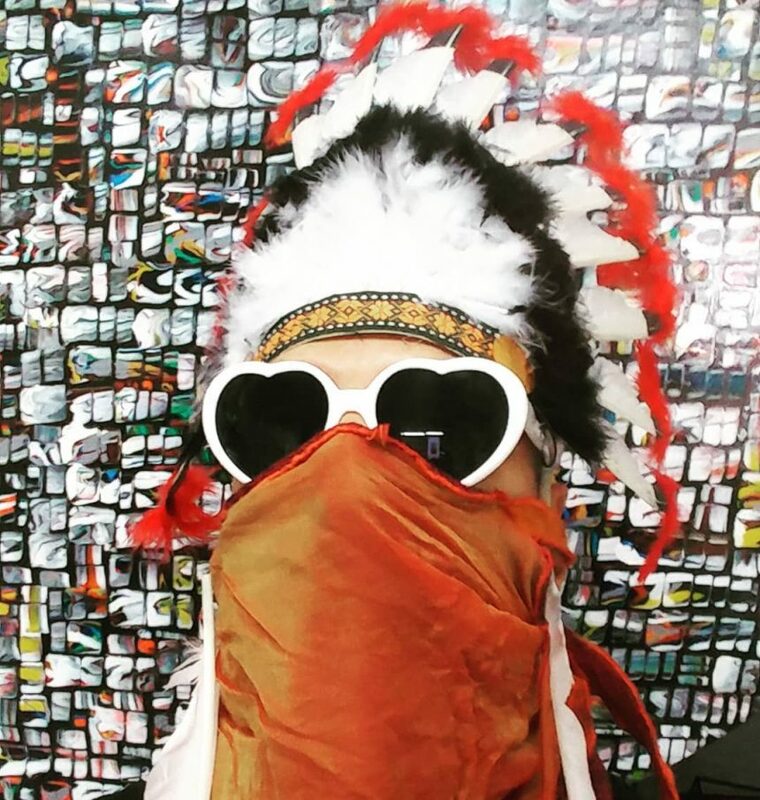 In Black Rock City, we discover a world out of time, filled with heterogeneous materials, extravagant and surrealist assemblages, real living monuments. Art is freely expressed here, from the infinitely small to the immensely large, but above all, everyone finds their place, with no judgment. At the end of this festival resembling a pagan celebration, a large human effigy is burned as a symbol of the rupture between artistic and social codes. The dream city flies away in smoke, leaving no trace behind, except the one within each of us. 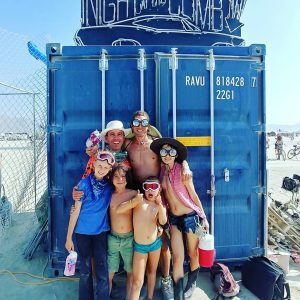 It’s hard to describe my experience at Burning Man. Time flows differently in this parenthesis of life. What we do doesn’t matter, since art and self-expression are at the center of everything and guide our steps. Meditation and contemplation play an important role, and although many activities are offered to Burners in search of new sensations, just being part of this mystical place is an adventure in itself. Orchestrating an artistic event of this magnitude requires a great deal of organization. 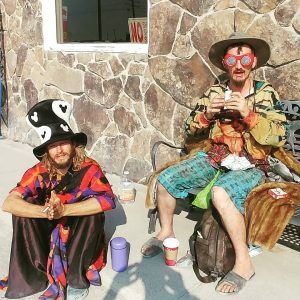 There are no rules about how to behave or express yourself during the festival, but everyday life revolves around a dozen principles such as helping each other, respect for self, others and the environment, and pure, selfless expression. From there, it is up to everyone to decide how they want to contribute to the well-being of the community. From pasta dinners improvised with ingredients on hand to offerings made to the Sun god, everything is done with awareness. Among the 5,000 works one could admire on the site, two particularly impressed me. The temple is a focal point of the Burning Man Festival. It is a place of prayer and healing, sharing and externalizing emotions. 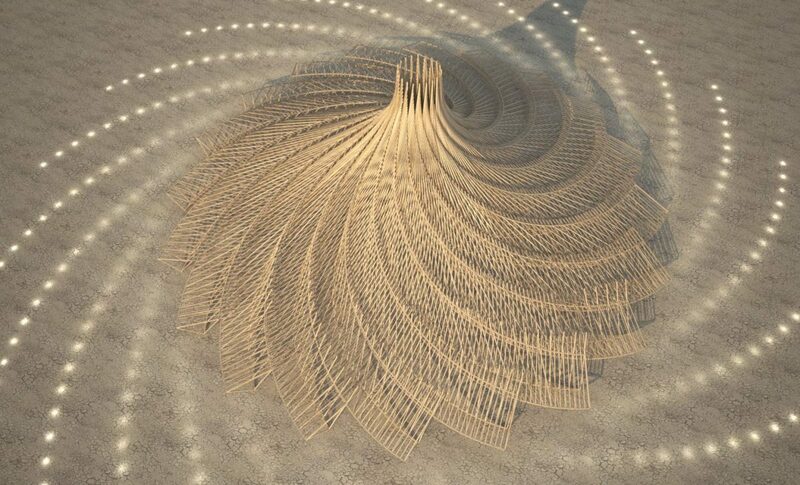 Galaxia is an immense structure made of wooden modules assembled in a spiral that converges towards a point in the sky. Inspired by Isaac Asimov’s writings, it represents the invisible fabric uniting people and the universe in a great and ever-changing whole. Inspired by a NASA project, The ORB is a gigantic inflatable sphere that floats above the beach. 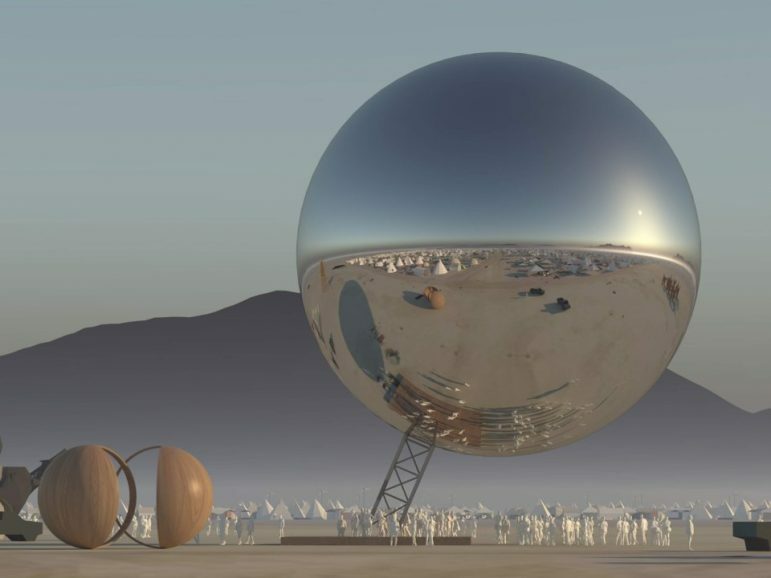 Day and night, its reflective surface helps Burners find their way around Black Rock City and get an overview of how the community is distributed in space.